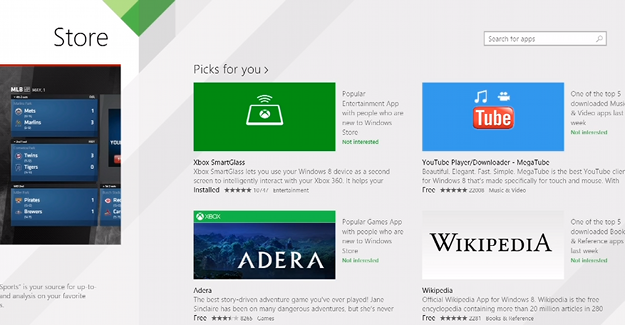 The Windows 8 Store didn’t receive a great reception at release, and for good reason; its messy, confusing interface was cluttered by poor-quality apps and didn’t promote a wide variety of choice. Now Microsoft is tackling the Store’s problems with a revision that will appear first in Windows 8.1, most of which focuses on helping developers promote and monetize their apps. Chief among the additions are in-app purchases and app gifting, a pair of important functions noticeably absent from the original Windows 8 Store. Adding these will give developers new ways to make money and promote themselves and also provide users a new way to share favorite apps with friends and family. Microsoft also hopes to increase visibility by improving promotion. The store’s new front page, along with categories, has been re-designed to allow for more prominent and personalized app suggestions. There will be app recommendations attached to individual app pages, too, which should improve cross-merchandising and discoverability of apps not ranked at the top of each category. While most of the announcements focused on development, there was one users specifically will appreciate: No more manual app updates! Microsoft is following in the footsteps of Android and iOS 7 and making Windows 8 apps eligible for automatic, behind-the-scenes improvements. This will help developers ensure users always have the latest version and give users one less update to worry about. 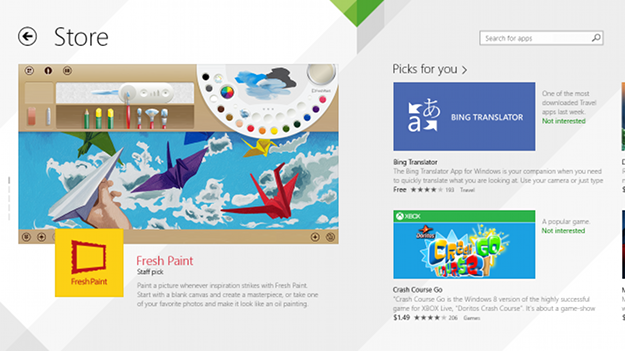 Improving app promotion is an important step, as it will attract more developers and improve overall app quality, a serious issue facing early versions of the Windows 8 store. The store’s new look is promising, but we’ll need some hands-on time before making a final judgment.